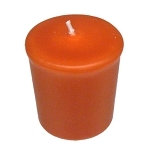 Use vibrant orange votive candles with a white background to make the color really stand out. With a 15 hr burn life, they are sure to last as long as the party! 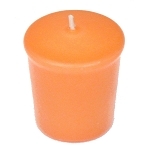 Use vibrant orange votive candles with a white background to make the color really stand out. 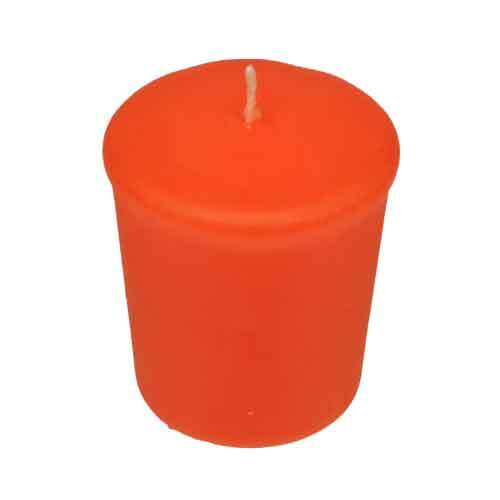 These candles were the perfect orange! 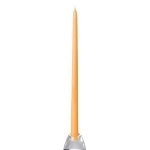 Definitely recommend them to anyone looking for a nice, not too dark or bright orange! 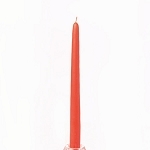 The candles were just perfect.They fit into the glass votive holders just right. 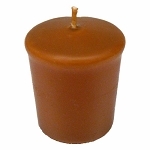 The color is slightly darker than appears in the picture. Otherwise exactly what I was looking for. 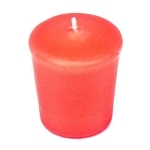 The candles were good but the color was not as vibrant orange as they looked on the website and as I wanted.